I won't be getting out to Yellowstone this year. After three blessed years of wandering the greater Yellowstone area a variety of events have conspired to keep me elsewhere this year. 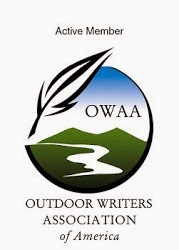 I will still savor memories of tight lines in the pocket water of the Lamar, casting between willow lined banks on trickles in the back country and otherwise staring slack jawed at the majesty of the place. As part of my Yellowstone therapy I'm already plotting next year's return. One the things I realized by wandering the fly bins in West Yellowstone fly shops is that they do things differently out there. Hoppers are much more important than they are here in the east so the number and variety are stunning. And even the familiar bugs, Drakes for example, are different patterns than you'd find in a shop in Pennsylvania. 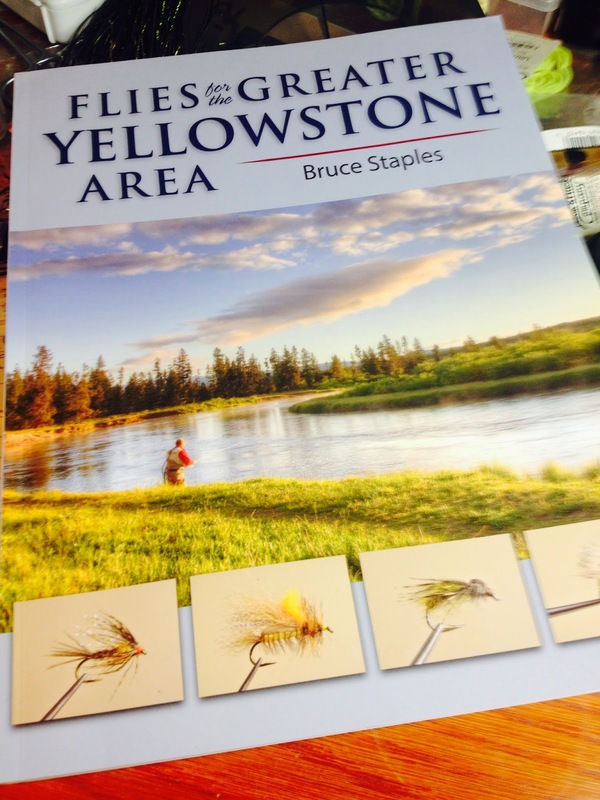 The folks over at Stackpole sent me a copy of Bruce Staples, Flies for the Greater Yellowstone Area ($29.95, $23.75 Amazon, $14.99 Kindle) This book is just what is says it is, fly patterns for the Yellowstone area. This isn't a "how to tie it" sort of book. It's a pattern book. 220 pages of patterns. Each pattern has a paragraph or two with a wide variety of commentary. Some of it is the "why" of the pattern. There's some "where to" and some recommendations on variations that work. 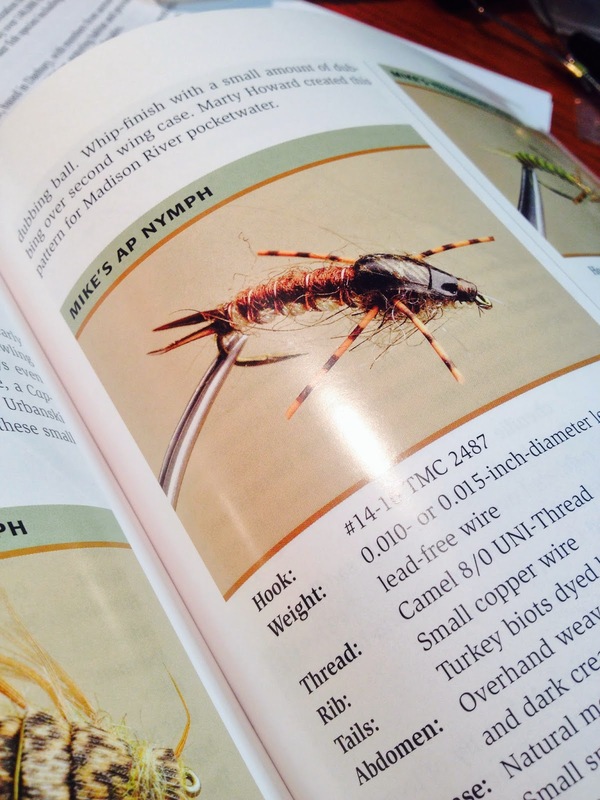 The book is organized into roughly bug-based sections: Caddis, Stonefly Mayfly, Damselflies (or Dasmelflies), True Flies, Scud/Shrimp with sections on Streamers, Terrestrials, Worms and Vertebrates and Attractors. The variety of patterns is stunning. When you have this many patterns, some of it feels like variety for variety's sake. But much of it leaves you thinking "yeah, that could work" and digging through your materials for something that matches. The challenge of the practical application of this book is that when you put together 220 pages of patterns with a land mass the size of "the Greater Yellowstone Area" it's much like walking into a fly shop with 300 fly bins and try to figure out where to start. So, I see this book as a great place to match pre-trip intel (river + hatches + fishing reports/ tall tale factor) with some patterns that might be found effective on the water. I also like about this book because of the stunning variety of patterns. The combinations of materials and styles gets the fly tying juices flowing. Already I'm thinking of a version of a cripple emerger I tie that might be better with a CDC wing instead of a deer hair wing. And these flies aren't just for Yellowstone. I cleaned up one afternoon using a yellow sally on a small river in the Blue Ridge foothills and there's a yellow sally pattern in the book that I'll tie for later this season. If you're looking for ideas for patterns, this is a great place to start. 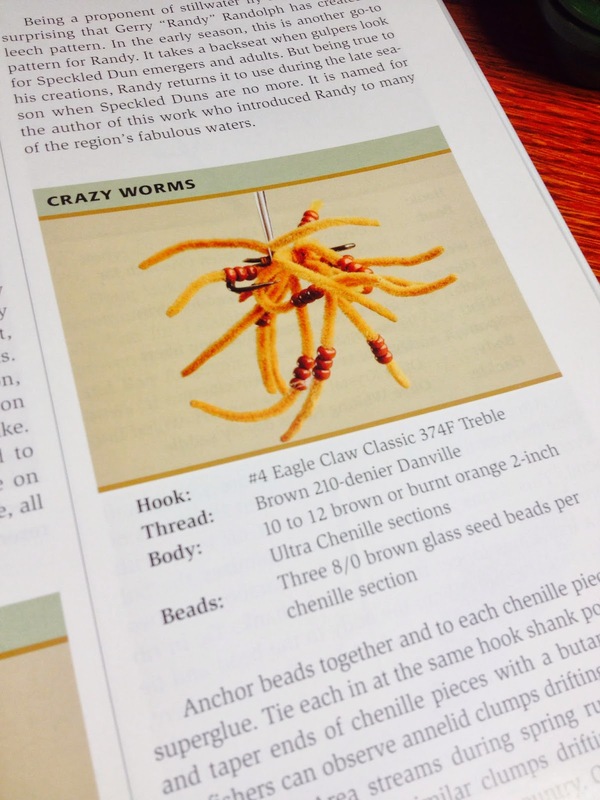 And if you're lucky enough to be heading out Yellowstone way this year, well, get tying. Full Disclosure: Stackpole Books sent me the book free of charge for review. Neat stuff. Been to the area but unfortunately it was at a time where I wasn't connected with the sport. That crazy worm looks good for sinking line and a reservoir. Looks good for anything lol. Worm patterns can be killer. Steve, thanks for doing this review. For what it is worth, I used to live in Eastern Idaho not far from Yellowstone Park. I knew Bruce Staples, personally at the time, and can testify that he is an authority on fishing those waters and the fly patterns it takes to be successful. I even wandered the waters of the back country with Bruce one day fishing a beautiful trout stream. Anyway, have not seen this new book yet, but, it sounds like Bruce has knocked it out of the park again. If you're a tyer and like experimenting it's a great idea book. Of course, if you're going to be near or visiting Yellowstone, then it takes a whole different meaning. I too have been there but before my fishing days, but now I'm heading there for 3 weeks for the first time in July to do nothing but fish, and I've got a great guide book from Nate Schweber that I'm really enjoying reading while planning and dreaming, but I think this is probably a must buy too..I'm trying to get started on tying some flies but time is short! Sweet. I am jealous. There's so much good water and when you grow weary of casting a line there's no better place to make a cup of coffee (get a Jetboil) and watch the world go by. Good day! I said, good day!